When teeth needed to be straightened, it used to be that braces were the only way to achieve your goals. Today we have the life changing option of ClearCorrect, the invisible orthodontic option that allows you to discretely straighten your teeth. At Coulter Family Dentistry, we are all about giving our patient's treatment options, and the ClearCorrect system is one of the most exciting treatment options that we have available to our patients. No more messing with cleaning clunky braces. No more dealing with the social stigma that comes attached to brackets and wires. With ClearCorrect, you get clear results! ClearCorrect is an orthodontic treatment that takes the place of traditional bracket and wire braces to straighten your teeth. It accomplishes this goal using a series of clear, plastic trays that are worn in succession. Each tray is worn for several weeks and is then changed out for the next set of trays. Just like braces, ClearCorrect works to straighten your teeth gradually by exerting light forces on them over a long period. When the lower teeth jut out beyond the upper teeth, that is said to be underbite. Underbite is typically caused by an overgrowth of the lower jaw or an undergrowth of the upper jaw but can occasionally occur due to missing teeth. Underbite can lead to pain and tooth wear and tear. Overbite is, as you may have guessed, the opposite of an underbite – where the teeth on the upper jaw extend far past those on the lower jaw. Overbite can be brought on by thumb sucking, and the overdevelopment of the bone in the jaw. The same problems that accompany underbite tend to affect those with an overbite. Teeth that are spaced too far apart can be caused by the overdevelopment of the jawbone. Missing teeth is another common cause of gapped teeth. Teeth rely on their neighboring teeth to keep them in the proper place, so when one is lost its neighbors can move into the gap left behind. When teeth are so close together that they end up pushing each other into misalignment they are said to be over crowded. All of these issues can be fixed with ClearCorrect. 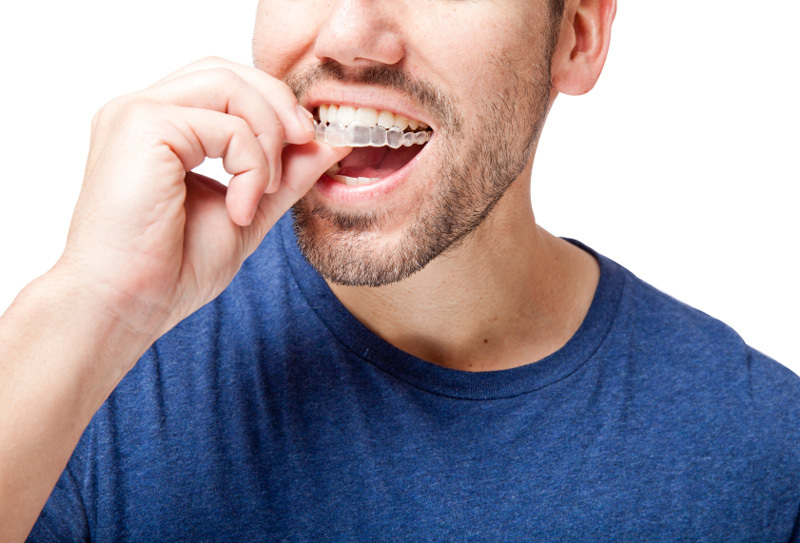 When dealing with braces, there is a lot of extra upkeep required. Cleaning with braces can be time-consuming and difficult to get right. With ClearCorrect, all you have to do is take the trays off of your teeth and proceed to brush and floss as you normally would. Braces can also limit the kinds of foods you eat, like apples, for example, are notoriously hard to bite into with braces. You can eat anything you want using ClearCorrect. Who wants to deal with the social stigma of braces in the workplace? Using these invisible trays, no one will know you are having your teeth straightened. Please call us today at (509) 209-8747 to schedule an appointment.